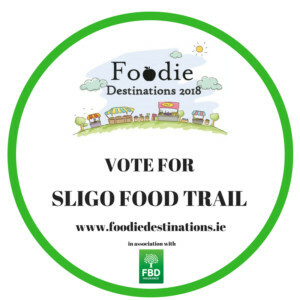 Sligo Food Trail is delighted to announce they have been selected as one of the top ten finalists in the ‘Foodie Destinations’ competition 2018. The competition is run by The Restaurants Association of Ireland which celebrates Ireland’s unique and wonderful food offerings and encourages local food tourism initiatives across the country. The overall winner will be selected by combining the judges’ score with the score from public voting. The ultimate Foodie Destination for the year will be announced at a celebratory reception where all 10 finalists will be invited to attend. Sligo is brimming with delightful foodie destinations; from the simplest family-owned traditional eateries to the very best in fine dining, from cheery cafes and gastro pubs to sparkling crystal and crisp linen in high end restaurants, it’s all there on Sligo Food Trail. 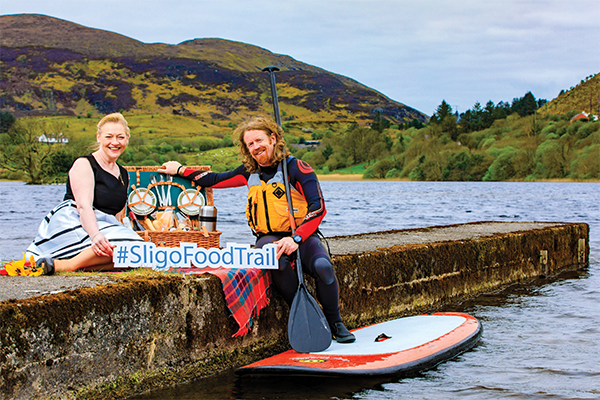 Sligo Food Trail members are an exciting mix of producers, markets, cafes, restaurants, craft beer, gastro pubs and accommodation scattered all around the county. Visit our members as you explore the surf coast on the Wild Atlantic Way, while others draw visitors inland to discover the hidden gems of this lovely and fascinating county. Sligo is simply bursting at the seams with delicious local seafood and fresh produce. Enjoy a host of interesting activities from walking, horse riding, golf to kayaking to work up an appetite. The ‘Foodie Destination of Ireland’ award recognises a destination that actively promotes itself through joint promotional activities such as food festivals, gourmet trails or farmers’ markets as well as great dining experiences. The winning Irish destination will have established a local producer/supplier network which is utilised and promoted by local businesses. Plans for future growth and investment into the food and hospitality industry at a local level will also be taken into consideration by judges.